Public perceptions are shifting with respect to the role and purpose of the Canadian college sector. From a focus on widening participation to an emphasis on outcomes-based education, these shifts range from the subtle to the seismic. As college educators, I see part of our role as being able to respond critically, passionately and collectively to these shifts. I have over sixteen years of experience in the Canadian college sector, initially entering the field with sector-specific skills and expertise. As I came to embrace the concepts and practice of adult education, I moved into educational development. Currently, I am the coordinator of the educational development unit at Bow Valley College in Calgary, Alberta. I have had the privilege of working with many colleagues from across the country who are equally committed to the college sector. My approach to both teaching and leadership is a reflection of those colleagues. As Committee Chair, I plan to ‘stand on the shoulders’ of those who founded this community and help our special interest group achieve its mission and goals. With the support of STLHE, our community has successfully established a national award for college educators. The time is right to connect with more educators throughout Canadian colleges, institutes, cégeps, polytechnics, and university colleges, and grow our community. Annique Boelryk is an instructional designer, faculty developer, and faculty member at Georgian College in Ontario. She has been an educator since 1989 and has worked at the elementary, secondary, and post-secondary levels. 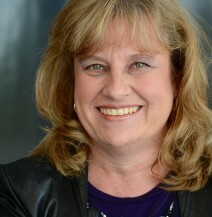 Prior to coming to the college in 2000, she worked as an instructional designer in the secondary system and was part of early online learning efforts in Ontario. Annique joined Georgian college as an instructional designer and has taken a leadership role in promoting the effective use of educational technology and in developing a culture of professional learning amongst faculty. Over the years, her role has evolved to include all aspects of faculty development and learning design. During her time at Georgian, Annique has participated in several provincial committees related to educational technology, curriculum, online learning, and faculty development. She has presented at various conferences in all of these areas. Annique holds a BA from the University of Waterloo, a Bachelor of Education, a Masters of Adult Education degree from St. F.X. University focused on online learning and instructional design and is nearing completion of a PhD in Educational Technology and Learning Design through Simon Fraser University. The focus of her doctoral research is post-secondary teacher learning and the design of effective learning environments and processes for faculty continuous professional learning. Annique believes strongly that the practical, responsive, and learning-centred education, provided by colleges, plays a central and important role in society. She is committed to providing effective and engaging learning environments for students and to supporting faculty in their continuous professional growth as they strive to achieve the complex goals of today’s college environment. Jordanne is an Educational Developer in the Centre for Academic and Faculty Enrichment (C.A.F.E) at Durham College. She has specific expertise in online and hybrid learning, and is committed to supporting faculty in the design and delivery of rich and engaging online learning experiences. She has a broad range of experience developing and facilitating web-based, hybrid and online courses at the post-secondary level and has taught in the School of Interdisciplinary Studies and Employment Services and the School of Continuing Education at Durham College, and in the Faculty of Education at the University of Ontario Institute of Technology (UOIT). 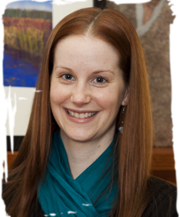 Jordanne has a Master of Education from Athabasca University, and is currently a PhD candidate in the E-Research and Technology-Enhanced Learning program at Lancaster University.